A New Hi-Tech Beauty Tool to Love: Conture. You know I am always looking for the latest in cutting edge beauty tools and treatments. Well, I've found one and it's unlike any other that I've ever tried before. This brand new device is called Conture and it is doing so much to change my skin for the better. In fact, it's clinically proven to work! Conture is a Kinetic Skin Toning System similar to the technology used by professionals in clinics and med-spas who charge a lot for the service. What it does is "wake up" the skin by safely lifting and releasing it with a specialized vacuum system. It does so with isometric compression combined with ultra-low frequency sonic vibrations to gently stimulate and tone the skin. The Conture Kinetic Skin Toning System is really a device unlike any other I have ever experienced. The device performs various little suctions as I move it across my face, jawline and neck. It's these compressions that are stimulating the skin, similar to a skin massage. It is safe, painless and non-invasive. Conture is very easy to use. A typical treatment takes two - three minutes in each zone. I have been targeting my jawline, jowls and cheeks. 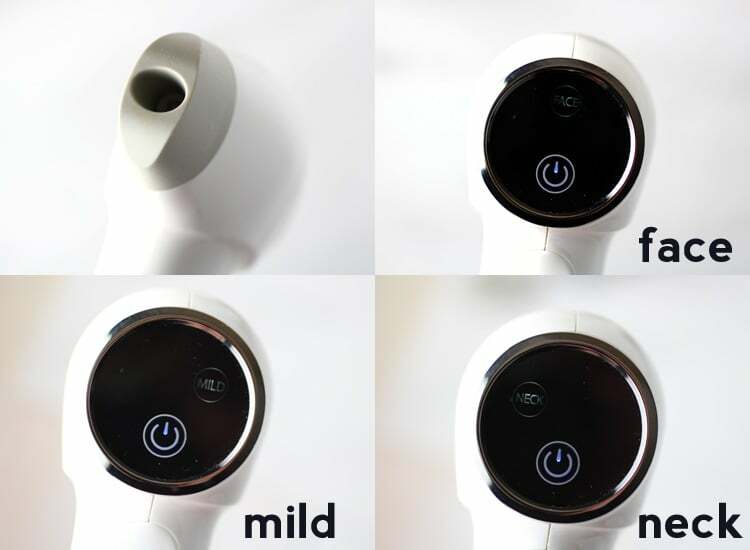 There are three settings on the device; Face, Mild and Neck. I use the Face setting and press the cup firmly against the skin until there is a seal, slowly glide the device in an upward motion and let the device do the work. It sort of feels like something suckling on the skin. The results are impressive; my skin is not only glowing, more-so than ever before, it is toned, more firm and plump looking. As soon as I complete a treatment, my skin is immediately glowing and super soft and smooth. I swear that is looks lifted in the areas that I have been targeting. Overall, signs of aging are greatly improved and my skin just looks healthier and better than it has in a really long time. I've only been using Conture for about three weeks and once a day, but it's sort of addicting because the results are so immediate. I'm going to be making it a part of my daily routine to even further better my results. Conture Kinetic Skin Toning System comes complete with everything that you need to improve your skin. The system includes the device, charging cord, two focus heads, directions, the serum that must be used with the device plus a really nice AM Lotion and PM Creme to complete your skin care regimen. Conture helps to aid in skin product absorption and these products were made to work directly with the device. Buy Conture Kinetic Skin Toning System at conture.com for $249. Disclosure: This is a sponsored post for which I was compensated and received products for testing in partnership with Conture. All opinions are my own.